Women Veterans speaking about homelessness, sexual harassment, being LGBTQIA in the service, and other issues. WOMEN are becoming the fastest growing demographic in the armed services, achieving high ranks and recognition. Yet women still face institutional barriers in a system designed for men, including in the Veterans Administration and with health care. they experience high rates of sexual harassment and abuse. Women often are seen as "dependents" in the armed forces, not as equals. Civilian Supporters are WELCOME. Men are WELCOME. This March marks the 70th anniversary of the Women's Armed Service Integration Act, signed into law by U.S. President Harry S. Truman in 1948. Texas has become the first state in the nation to set aside an annual recognition of women veterans. HONOR WOMEN VETERANS... veterans from across the services and across the U.S. are joining us here in Houston, where we're marching for the rights and recognition of women veterans in Texas and in America on Saturday, June 9, 2018. 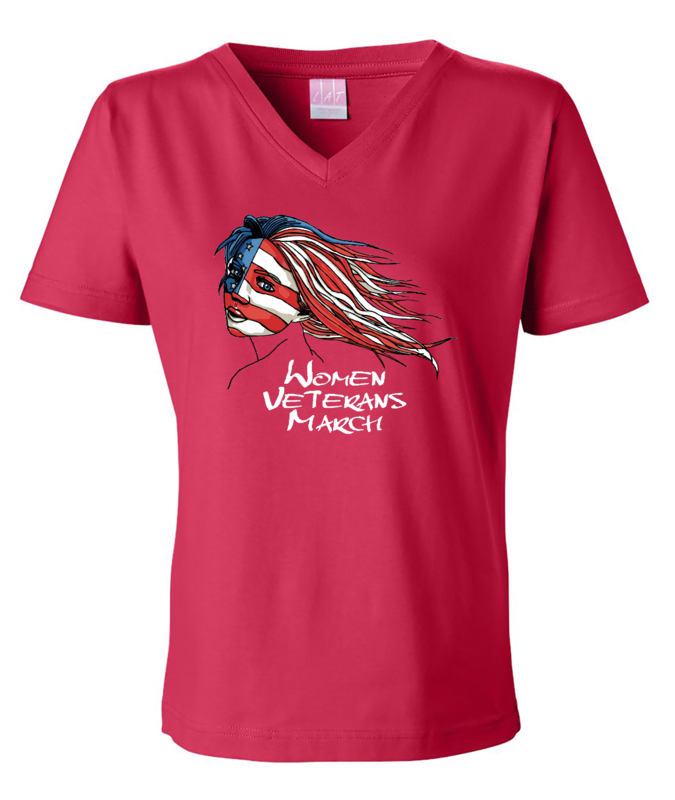 Official T-shirts are available from the Houston Women's March website. SIGN UP NOW: we will update you with opportunities to recognize women veterans and join us in honoring the women who have served, CURRENT serving women from all the armed forces, and the young women still in school who will serve and defend our nation and our democratic values. Stay tuned! More details to come.